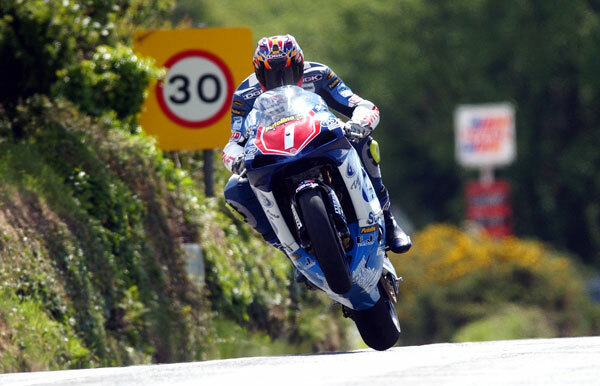 The world of motorcycle racing was rocked in 2003 when David Jefferies, one of the sport’s biggest stars, died in a practice crash at the Isle of Man TT. DJ had earned legions of fans around the world with his awesome riding talent and larger-than-life personality, and his loss is still felt as bitterly today as it was back in ’03. He will always be remembered for his flat-out style, especially around the Isle of Man TT circuit where he enjoyed so much success. Stephen Davison captured this stunning picture of DJ, which featured in Davison’s best-selling book Ragged Edge. It shows Jefferies in full cry on the 1000cc Production TAS Suzuki at Rhencullen in 2002.